A screenplay is in the works based on the research from the latest book by I. Kaufman Arenberg, MD. 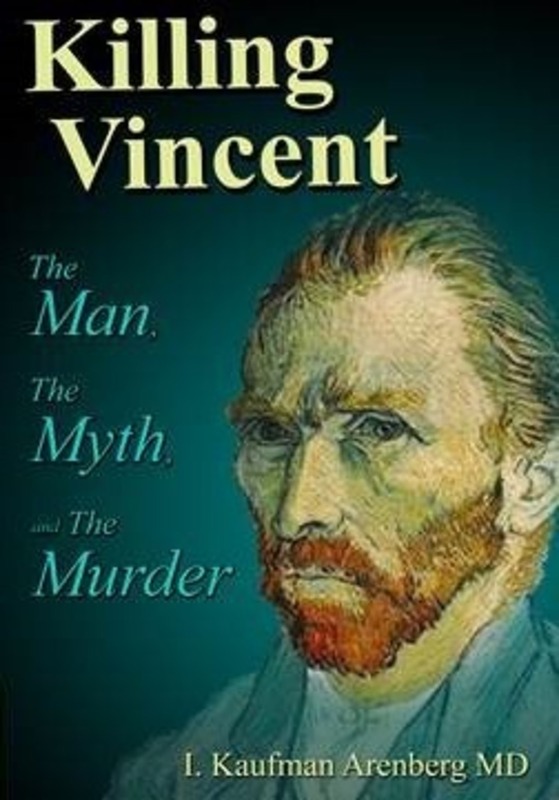 In "Killing Vincent: The Man, The Myth, and The Murder," Arenberg presents a compelling case that Vincent van Gogh did not commit suicide but died as a result of foul play. The screenplay centers on the finely-focused findings of 30 years of research on Vincent, the dysfunctional family dynamics surrounding this iconic artist, and a love story that resulted in his premature death—the consequence of an honor killing. Vincent van Gogh's death in July 1890 had, for many years, been believed to have been a self-inflicted gunshot wound into his belly. This 19th-century suicide theory has come under recent scrutiny when TIME magazine, on their October 31, 2011 cover, asked the question, "Who Killed van Gogh?" and then followed up with, "Was van Gogh's Death Really a Suicide?" I. Kaufman Arenberg, MD, a retired ear surgeon, has been publishing on van Gogh ever since he wrote a cover-featured "Special Communication" article in the Journal of the American Medical Association (JAMA). This report, whose publication coincided with the 100th anniversary of Vincent's death in July 1990, corrected the old misdiagnosis for Vincent's noteworthy "attacks"—attributing them to an inner-ear disease (Meniere's disease) and not to epilepsy. He never believed at that time that van Gogh committed suicide. Now, from the same doctor, comes another stunner: His analysis and new, 21st-century forensic evidence strongly suggests the artist was a victim of an honor killing, a homicide with an amazing cover-up. In his 21st-century forensic simulations and reenactments using the same antique revolver that might have been used in the murder, and vintage black powder bullets and FBI ballistic gel, he proves that it was not possible for Vincent to self-inflict his mortal wound. Whoever created that fatal wound, in fact, murdered him and did a brilliant, misdirected cover-up. Did van Gogh take his own life in a fit of madness? Or did something much more sinister happen to one of the world's greatest visionaries? "Killing Vincent" also features interactive elements, including social media platforms as well as a website, killingvincent.com, allowing readers to interact on a dedicated forum and discuss various theories about van Gogh's life and death. Arenberg, a noted author of medical works, now takes his first stab at nonfiction. He has served on the boards of several peer-reviewed journals and was made the youthful Associate Editor of the AMA Archives of Otolaryngology in 1968. He has edited six books, published 100 articles in peer-reviewed journals, and published or presented more than 500 abstracts, papers or book chapters on ear diseases, hearing, balance and tinnitus, and specifically Meniere's disease. He has lectured extensively in many countries and was a visiting professor at many distinguished medical schools and teaching hospitals. He founded and ran three nonprofit organizations and has been awarded three international gold medal honor awards. To learn more, check out the intriguing and in-depth website which also features an ongoing, interactive forum and other interactive elements, including social media platforms that allow readers to interact and discuss various theories about van Gogh's life and death with the author. Note: You can immediately view the TOC, Foreword, Preface and Chapter One on the website.